A weekend of amazing food! The 8th St Albans & Harpenden Food & Drink Festival is underway, and I have already been to some wonderful events. We have a packed weekend ahead, so to make sure you don’t miss out, here are some highlights. On Friday night you can learn to cook with Cinnamon Travelling Cafe at Oaklands College. You will work in professional kitchens to make an Indian or Caribbean Tahli dinner. You could also head to The Snug for their End of Season Garden Party to make the most of this Indian summer weather, with outside bar, barbecue and summery music. If you prefer a calm glass of rioja with tapas, Flagship Wines on Hatfield Road are having an informal tasting until 6 – just pop in. On Saturday, food writer Ren Behan and photographer Stephanie Belton are leading a food photography workshop, starting at 11.45. After shooting in the market the group will go to the very stylish Thompson@Darcy’s for an indoor workshop focusing on food styling. This is a must for anyone interested in working in food professionally and will be great fun for anyone who loves photography. Visit renbehan.com or stephaniebelton.com for booking. On Saturday night the Town Hall is being transformed into an Afro-Latin dance hall! Suitable for everyone, including families, for just 25/15 a head you can enjoy pre-dinner cocktails, buffet dinner, live music and dancing until late. For tickets head downstairs to the Tourist Information Centre. After a glorious day last Sunday where the sun shone on Harpenden, it is St Albans’ turn this Sunday 4th October to host the big street festival. St Peter’s Street will be closed for the day and the area will be transformed with pop-up restaurants, beer garden, food stalls, live music and the Cookery Theatre. Open from 12 to 6 you can just turn up; there is no entry fee. At the Cookery Theatre you can watch demonstrations by local chefs including Phil Thompson and Masterchef semi-finalist Theo Michaels. Radio Verulam presenter Jonny Seabrook will be our host for the day, chatting with the chefs and making sure it all runs smoothly. Look out for the omelette challenge where chefs and VIPs will be competing to make the best omelette in the quickest time. Even the Mayor of St Albans City and District, Cllr Salih Gaygusuz, will be cooking – look out for him at 12.15 where he will be cooking Turkish food. I will be presenting the finalists of the Food Writing and Food Photography competition in the afternoon at 3.50. New for this year is the Pop-Up Village Green, which is the brainchild of landlord Andrew Meredith who runs The White Hart Tap. There will be ten pubs from around the city selling drinks and food, and you can sit on hay bales and listen to live music. Reminding us where our food comes from, look out for the Kitchen Garden where you can find out how to grow-your-own. Oaklands College are setting up a City Farm in front of the Alban Arena, which sounds great. They are bringing farm animals from the college, including prizewinning sheep, goats, pigs, chickens and Pip the horse! Students and staff from the agriculture department will be there to answer any questions you have. If you are quick enough you should be able to buy eggs from the college’s ducks and chickens, as well as chutneys and jams made by the catering and hospitality students. At the centre of the Festival will be pop-up restaurants by two of our best locals; Lussmann’s and Dylan’s. Lussmanns will be sited in a huge marquee you can eat delicious food such as wild rabbit with Cotswold chorizo at proper tables with tablecloths, and Dylans are bringing a Citroen van and tables so you can enjoy their snack menu while enjoying the atmosphere of the festival. There is plenty to do for children of all ages too; in the Family Zone children can make their own tiffin with Pattacakes cookery school and visit the Fairtrade Chocolate Factory. Teens can go to two Cookery Theatre demonstrations specifically for them at 1pm and 5.30pm by the team at Cookery Eatery. There is no need to buy tickets for the cookery theatre; just grab a chair. 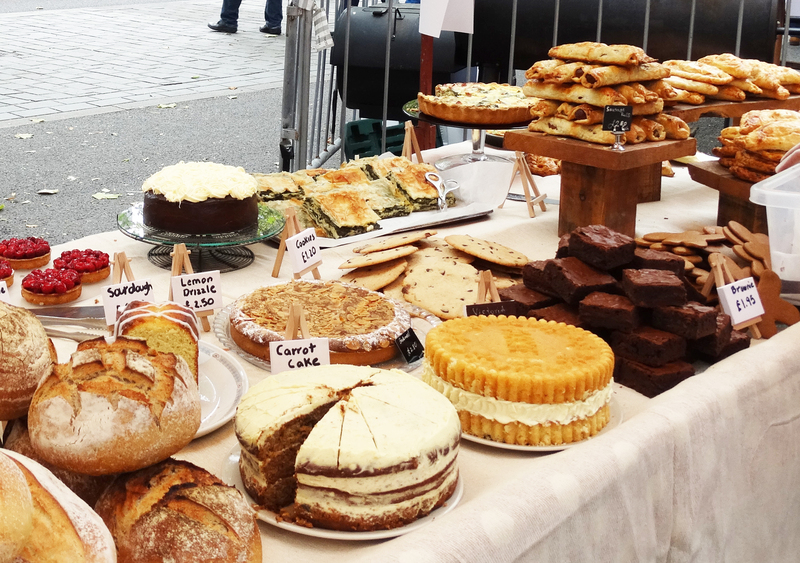 The World Food Zone brings together a delicious range foods at the St Peter’s end of town, where there will also be live music. If you have any energy left after all that, come and join us at the Food & Drink Awards Dinner on Monday night at lovely Sopwell House Hotel. This is a fun evening, with welcome drinks from Mokoko and Flagship Wines and a three-course meal designed to showcase the very best of British seasonal food. Tickets are 45 per person, and are available from the Tourist Info Centre. You need to be quick for this one and buy by Friday, if possible. Have a great weekend everyone! *3.50pm Presentation to the winners of The Herts Advertiser Food Writing and Food Photography competition. For more information on any of the events listed here pick up a free brochure at St Albans Tourist Centre or visit enjoystalbans.com.